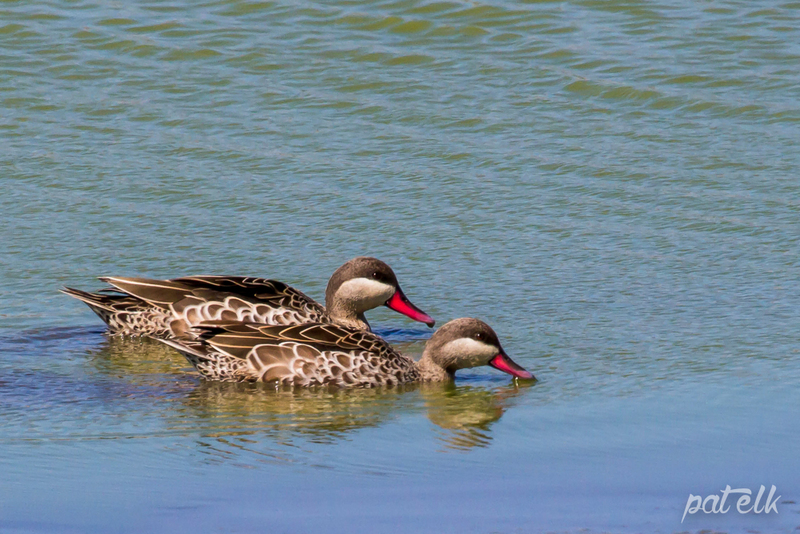 The red-billed Teal (Afrikaans name, Rooibekeend) is one of the prettiest of ducks, strangely the female is the one that quacks whilst the male whistles. 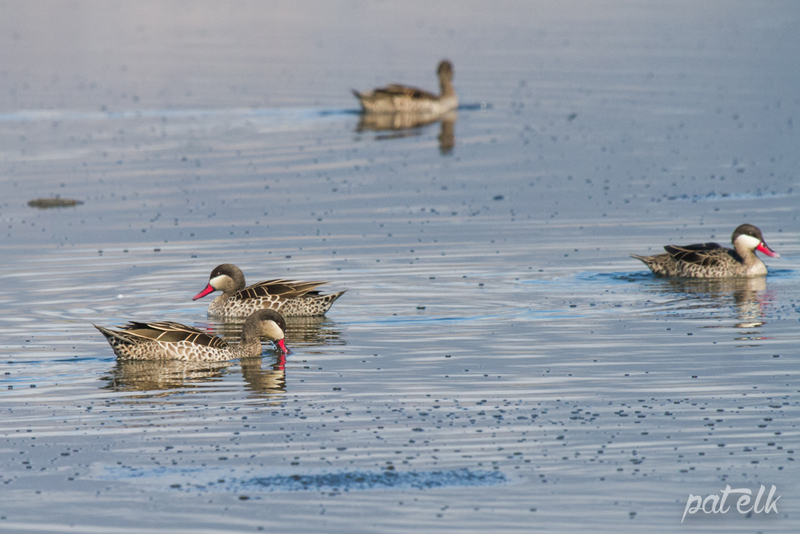 We Spotted these teals on a trip to Strandfontein Settling Pools this weekend. 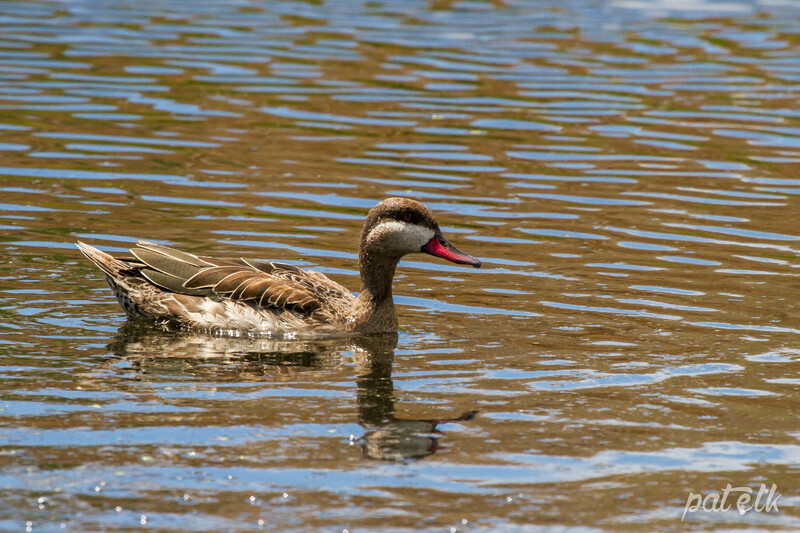 They are a common resident across most of our freshwater wetlands. 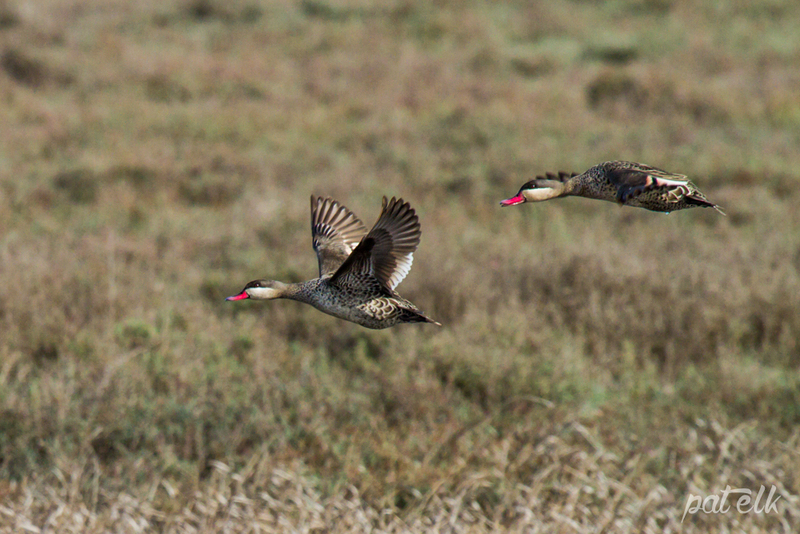 The red-billed teal breeds throughout the year.